On this page you can download the main PDF, the cheat sheet PDF and view the videos for the drills that are featured in this system. But please read all instructions CAREFULLY! 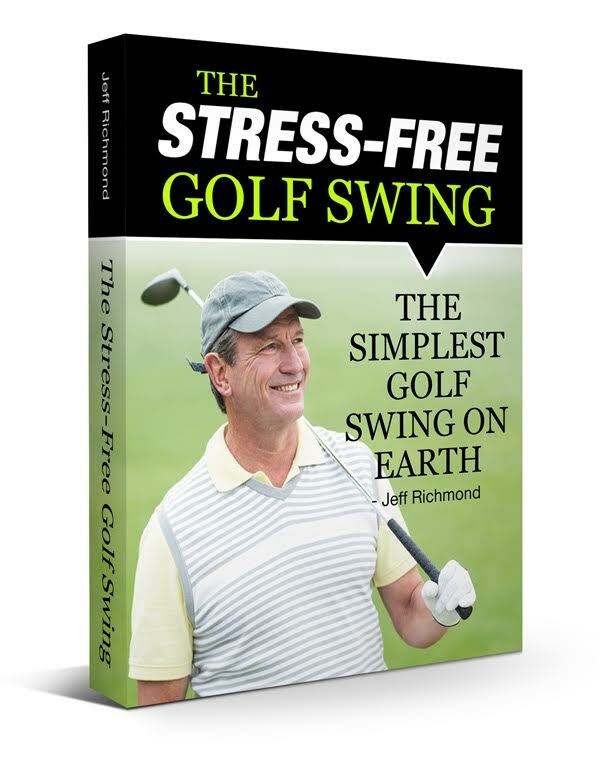 To download the Main PDF For The Stress-Free Golf Swing Program simply right click here and save the file to your computer. To download the 1 Page Cheat Sheet PDF For The Stress-Free Golf Swing Program simply right click here and save the file to your computer. In that same email is the password to open up this Main PDF. So look in that email for the password. If you don’t see an email with instructions on how to download etc. please check your spam folder. Any problems however just email: jeff@consistentgolf.com. Ben Hogan is well known as having an almost perfect one plane golf swing. And naturally doing that helped him to have amazing ball striking consistency. I don’t cover the swing plane in The Stress-Free Golf Swing because it’s too big a topic. But I do have a complete step-by-step program that will help you to have a great, consistent swing plane like Ben Hogan. To find out more about that simply go here. Now on Page 48 in The Stress-Free Golf Swing PDF I tell you how to implement the Hogan secret body move with your arms. Here is a video that gives you more instructions on how to do this. But remember, you need to place something touching your left hip at setup so at the end of your backswing you get your left hip back to touching the reference object. And also remember you need to keep your upper arms connected to your chest and your arms close together. Here is a video from Ben Hogan himself giving you a lesson on how to start the downswing. Naturally he doesn’t give away “the secret” I reveal in The Stress-Free Golf Swing but he does explain in good detail how to start the downswing with the lower body and shows the right elbow attaching to his side in the downswing. Here is a closeup of Mark Crossfields swing where you can clearly see how the right elbow connects to the side in the downswing, just like Hogan showed in the video above. Watch Ben Hogan perform the secret move over and over again. This is the best, most clearest video of Ben Hogan’s swing. I suggest you watch this video over and over again to see how Ben performs the secret move with great rhythm and balance and over time by watching this video you’ll program yourself to perform this move with more grace. You can skip to 4.54 to watch Hogan showing how he used to practice in slow motion. But before that you can see Hogan hitting some drives into the ocean which is pretty cool as his swing looks as great as ever. Watch what he is doing with his right elbow as he waggles. Remember to do this drill with just your right arm and keep doing it until you can get the club flying consistently at your target. ….I am going to offer you the chance to get me to personally critique a video of you performing this golf swing while hitting golf balls. I believe that within 3 video critiques you’ll have this move down perfectly. Normally I charge $50 per video critique. But like I said, because I want you to succeed with this I’m giving you the chance to get 3 video critiques from me for just $50 — that’s a $100 saving! To order these critiques simply click ‘Add To Cart’ button below and place your order. Then when you’re ready, send me a video of your swing and I’ll get back to you within 48 hours (weekdays) on how you’re getting on, and what you need to do to improve. In your first email to get your video critique put this in the subject: “Stress-Free Video Critique #1” and we’ll go from there.